resonated with the birth of our new parish. From that humble beginning the parish has evolved from serving 165 families to serving approximately 3,500 families and nearly 11,000 members. 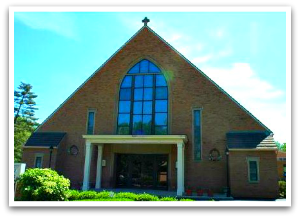 The parish educates over 750 students in the day school and almost 700 students in the Parish School of Religion (PSR). Our numerous commissions and ministries strive to meet the needs of an ever-changing faith community. Through the years, the parish has supported our communal faith through education, spiritual development, liturgy and the sacraments and social outreach. With God’s grace and our profound belief, we can live our Roman Catholic tradition by continuing the work of the Lord. 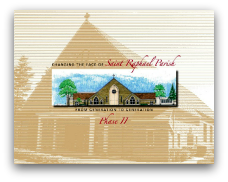 Through the intercession of St. Raphael the Archangel, who blesses this parish, we continue to build on the tradition that was established by our founders. We journey together as a Christ-centered people.